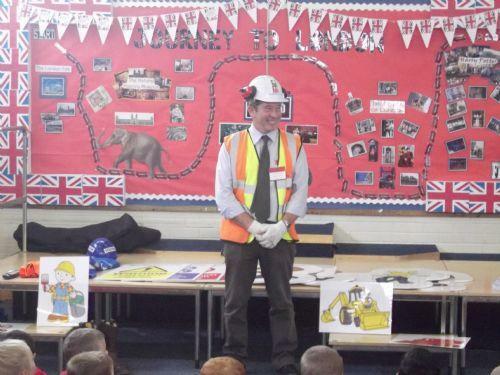 Today Norman the Safety Manger for Speller Metcalf visited our school to take to the children about being safe on a building site. 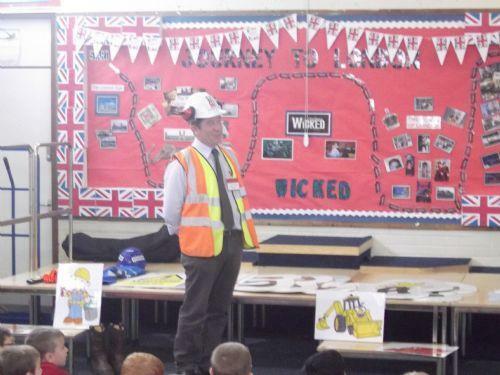 As building work is happening on the Coranation estate Norman talked to the children about the dangers of building sites. He explained about the rules the people on site need to follow and linked it to the rules we have in school. 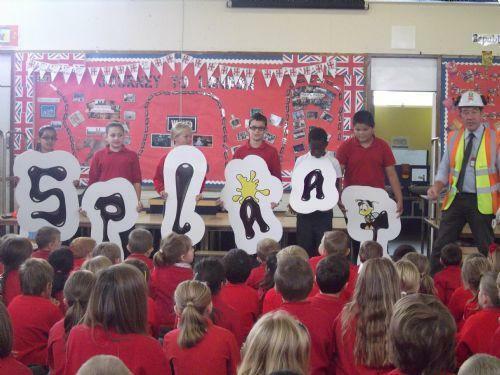 Some children are being invited to visit the site later on in the year. 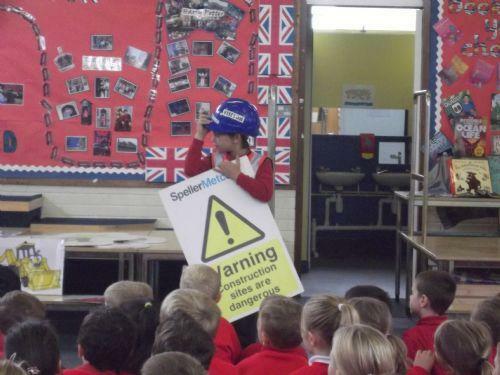 Norman also challenged the children to create and design a safety sign for Speller Metcalf.